A really powerful solar lamp which can light up a large area of outdoor space (terrace, patio, garden path, doorway) and even has some of the LEDs on the sides. To put it into perspective, I still use some early 6-LED solar lamps; this one has 54 LED spots! This type of fixturep elegantly and economically solves the problem of night-time illumination without the need for a wired installation. The solar panel on top slopes downwards to catch maximum sun power; the main requirement is to position it in a sunny spot, preferably facing south, for maximum efficiency, although even 6 hours of sunshine a day seem to be sufficient. 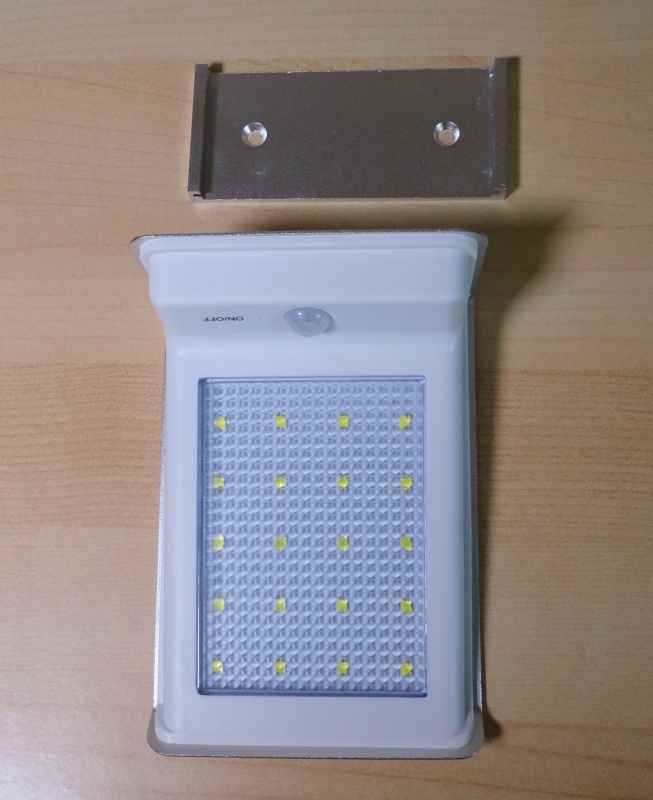 The lamp has two sensors, one to detect light levels and the other to detect motion. Depending on the mode selected, it will remain lit until the battery charge runs out or until daylight the next day. 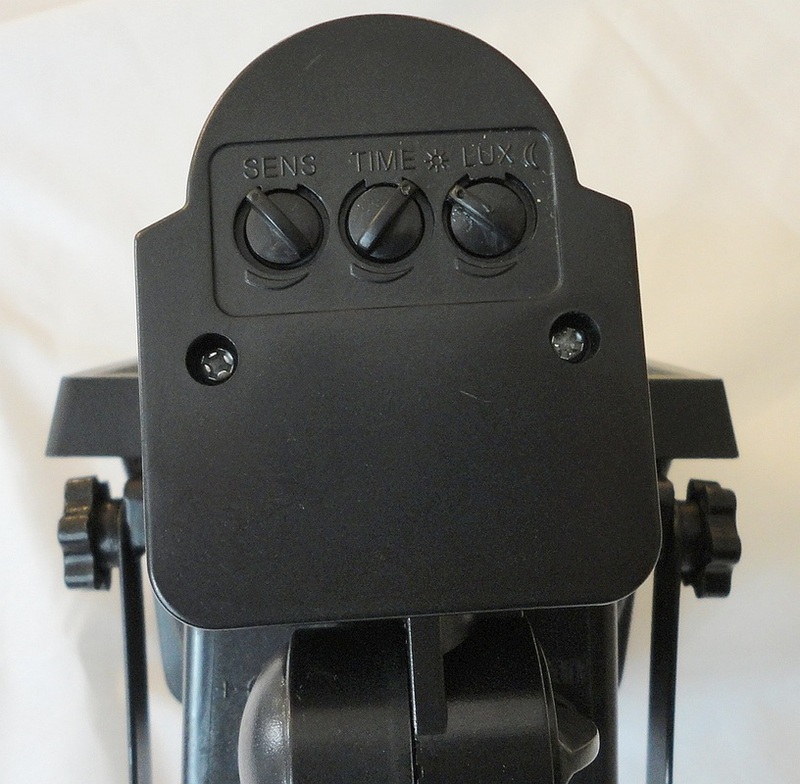 Classic sensor mode – no light until movement is detected, switching full on and remaining lit for 18 seconds unless the triggering body remains in range. 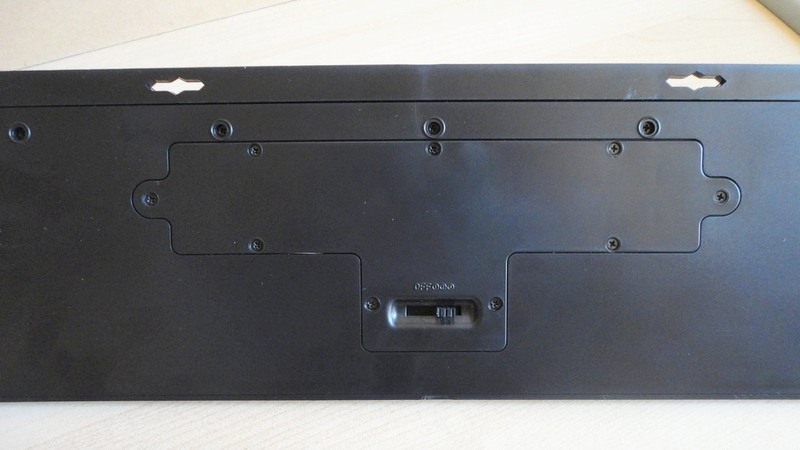 For such a large unit (it's almost a foot long), the weight is surprisingly light and only two screws and wall plugs are needed to mount it. They are provided, along with a one-page instruction sheet in English. The sliding switch is on the back surface, against the wall, so once set it can only be accessed by taking the lamp down. The motion detector is very sensitive and reliably reacts to movement within a 5-metre range and a radius of 120°. 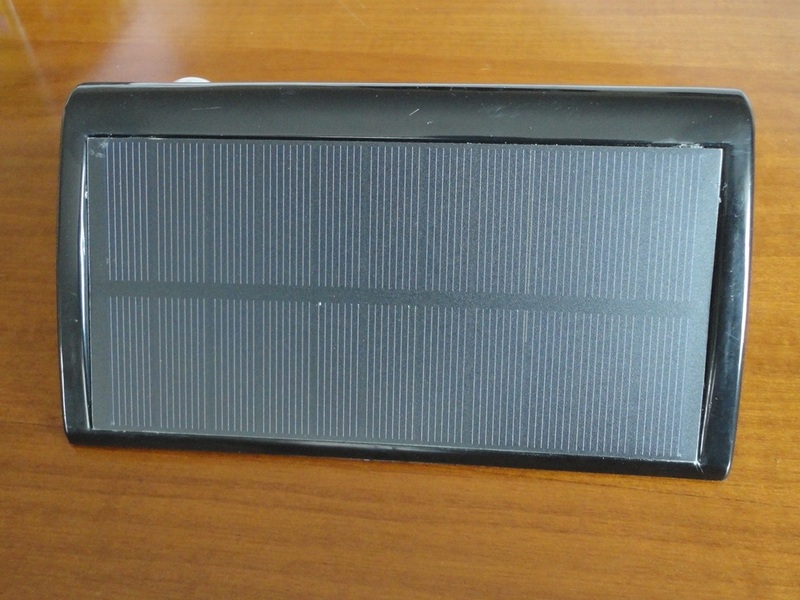 A solar lamp of great quality, which is performing well for us in a very exposed location. The great thing about solar lighting is that, once installed, it is autonomous, recharging itself and requiring no other maintenance than the occasional wipe to keep the panel clean and efficient. A smart-looking solar lamp in the classic triangular shape with 20 strong LED spots. 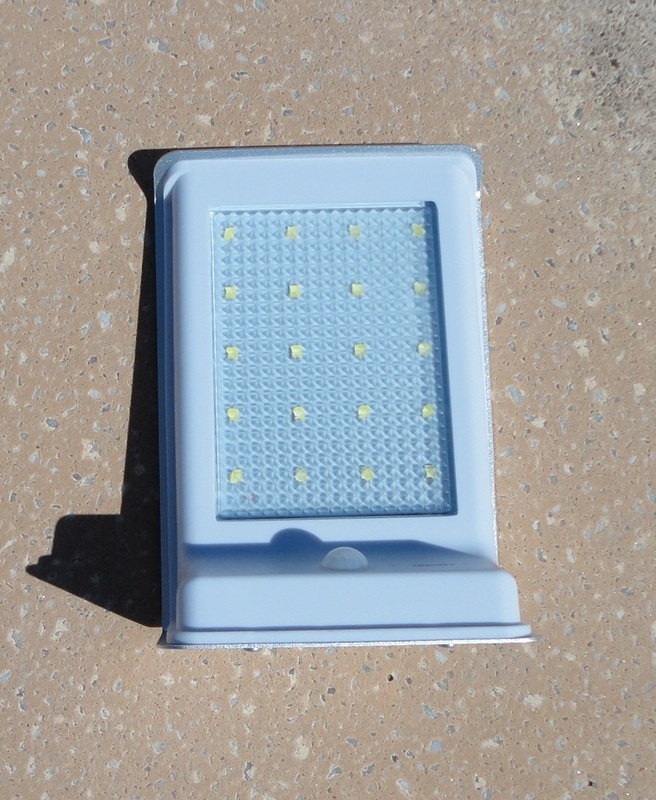 These solar lights are becoming so strong that they can usefully substitute for traditional lighting when a wired-in installation is not possible or desired. 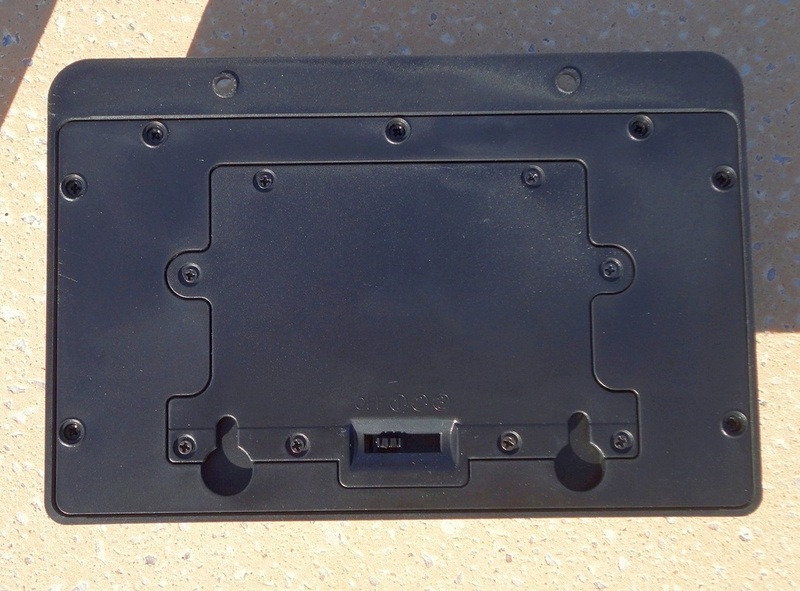 The unit is lightweight and very easy to install with the four screws and washers provided. The illustrated manual is clear and easy to follow. The lamp offers three working modes. 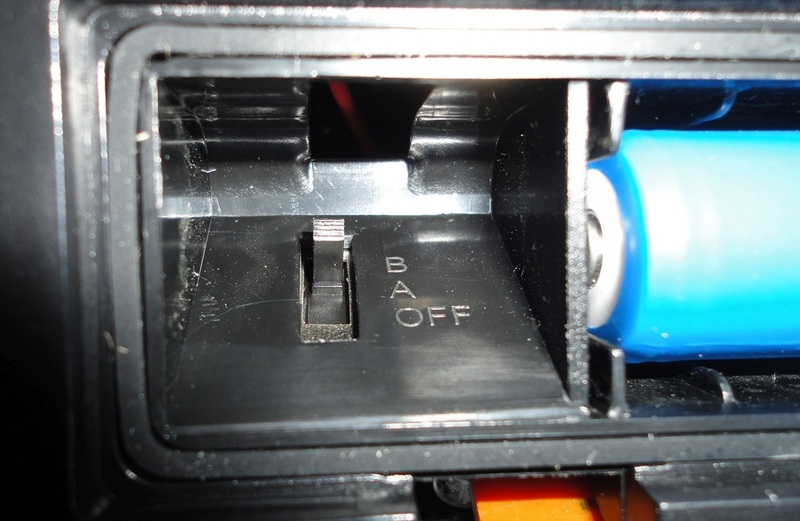 Remember to set the sliding switch to your chosen one before installation because, once the top two screws are in place, the switch is no longer accessible. As with all solar-powered appliances, a sunny location is best, preferably due south, although even 6 hours of sunshine a day seem to be plenty. The lamp starts to work once it detects a certain level of low light and, depending on the mode selected, remains lit until the battery charge runs out or until daylight the next day. 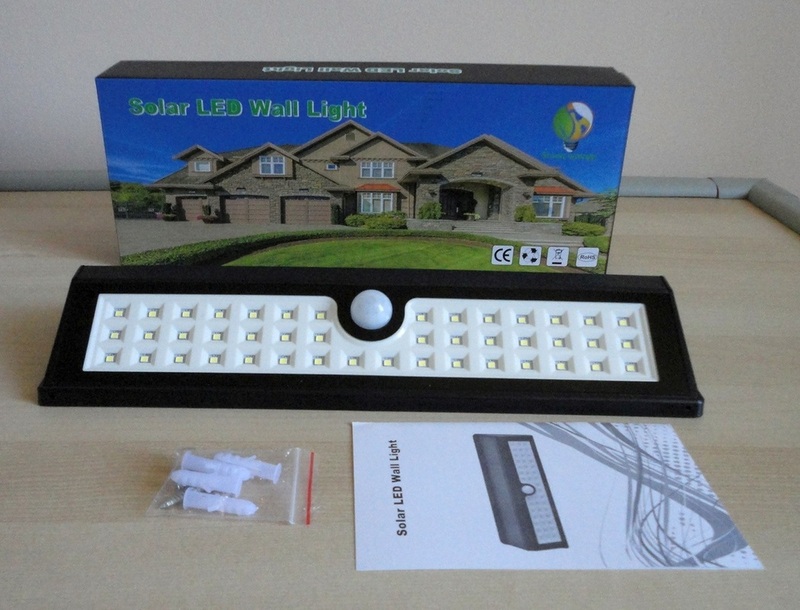 The 20-LED light panel casts a fair amount of white light, perfect to illuminate a dark corner or a door so we don't have to struggle to fit a key in the lock. The sensor is very sensitive and reliably detects movement within a 3-metre range. 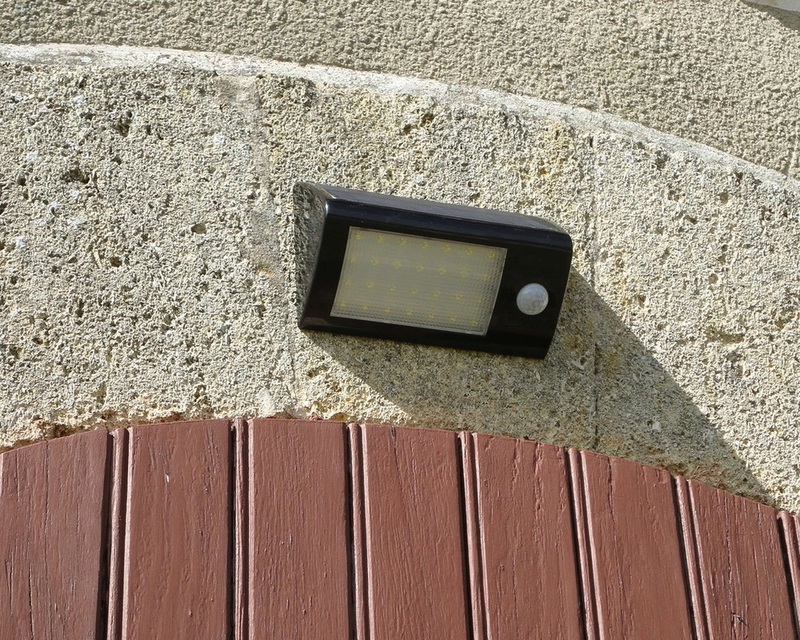 An exterior lamp of excellent quality, well made and completely weather-proof, it can be placed in exposed locations and, once installed, recharges itself and requires no special maintenance, save for the occasional wipe of the solar panel. Brilliant! 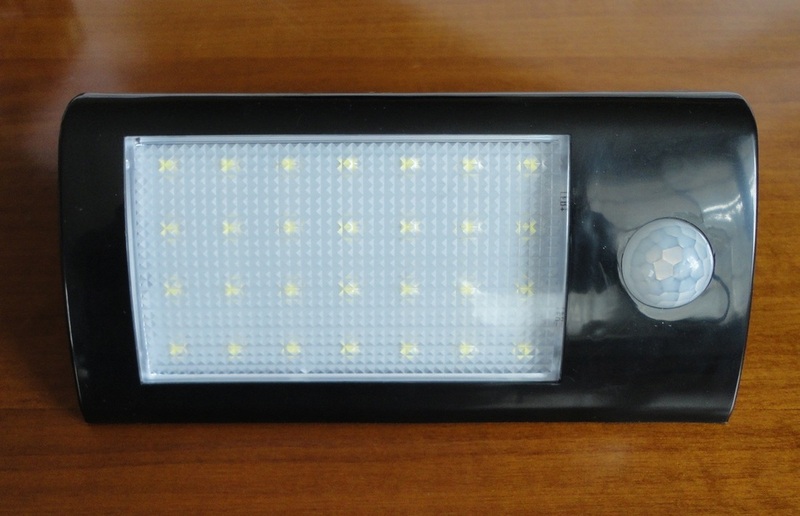 A smart-looking solar lamp with 20 strong LED spots. The unit is lightweight and very easy to install with its metal bracket and the screws and washers provided. A small tool is also included to unblock the lamp. 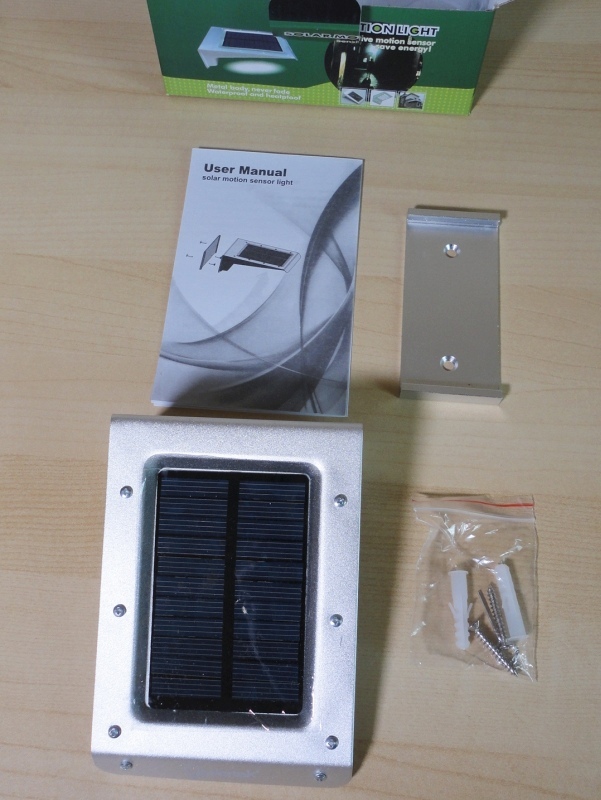 All that is needed is to remove the plastic protection from the solar panel, insert the clip tool in the small hole marked ON/OFF, and mount the bracket and lamp unit in a sunny spot where the captor will receive several hours of sunshine each day. 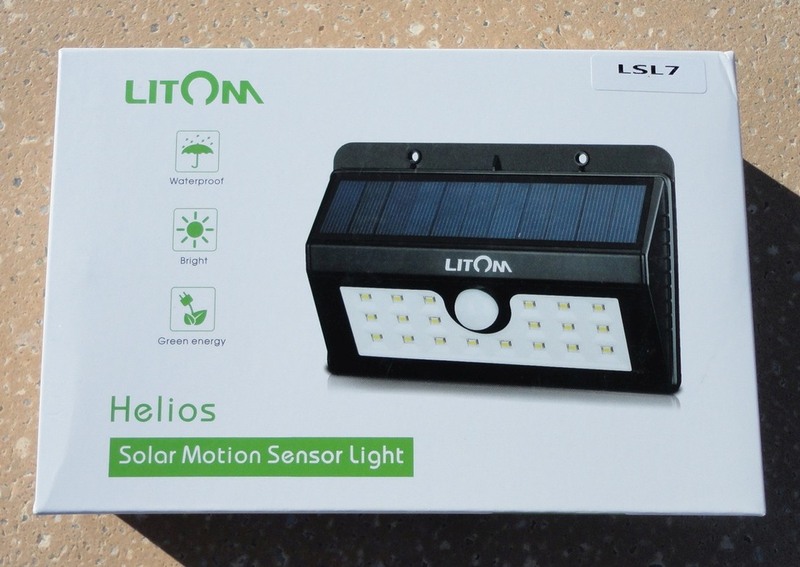 The lamp starts to work once it detects a certain low level of natural light and remains lit until daylight the next day or until the battery charge runs out. The 20-LED light panel gives a cone of white light perfect to illuminate a dark corner or a door so we don't have to struggle to fit a key in the lock. The sensor is very sensitive and reliably detects movement within a 3-metre range. An exterior lamp of excellent quality, well made and completely weather-proof, it can be placed in exposed locations and, once installed, recharges itself and requires no special maintenance, save for the occasional wipe of the solar panel. Brilliant! A classic triangular shape with amazingly strong light output from 44 LED spots. My lamp arrived already partially charged and has been working at full power ever since. The lamp is fairly long but lightweight, and really easy to mount with the four screws and wall plugs included. The manual is slightly approximate so I will attempt to explain how this product works. It is important to set the sliding switch at the back for the selected mode before mounting the lamp. 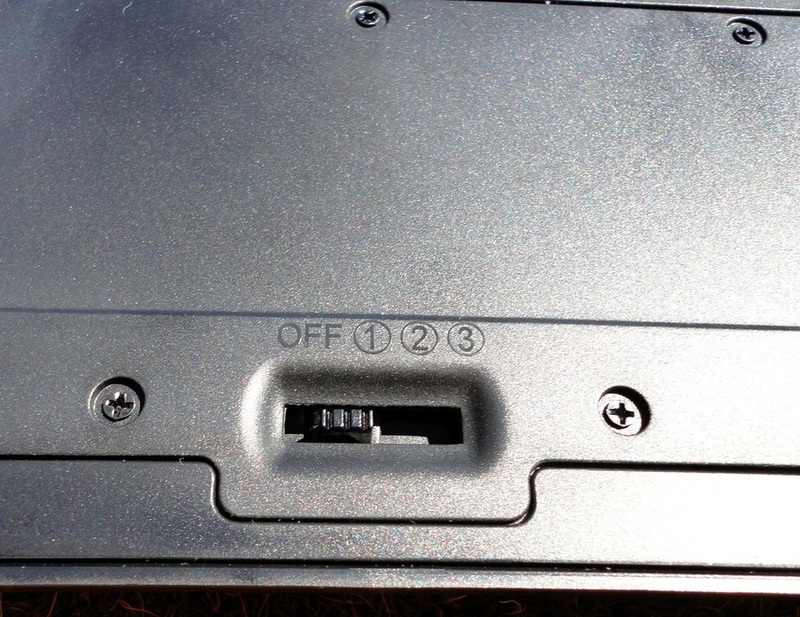 Should you decide to change the mode, the top two screws would need to be undone to regain access to the switch. We chose Mode #2, and I find the partial light to be already very bright, and the sensor-triggered full light to be quite staggering for this type of lamp. As for any solar lamp, placement is all-important. Full south is obviously best, but even a less than ideal location will work, provided the captor receives several hours of sunlight each day. The surprisingly large pool of white light can easily illuminate a doorway, terrace or patio area. Security-wise it's great to have some light on all the time and then, when needed, the sensor appears very sensitive and reliably turns the light up, detecting movement up to 2 metres away or even a little more if you approach sideways. Even at half power, I can keep an eye on what my cats are doing and they know it. This product impressed me with its quality build and the strong light levels it achieves. It has already stood up to some heavy rain and only requires an occasional wipe to keep the solar captor efficient. 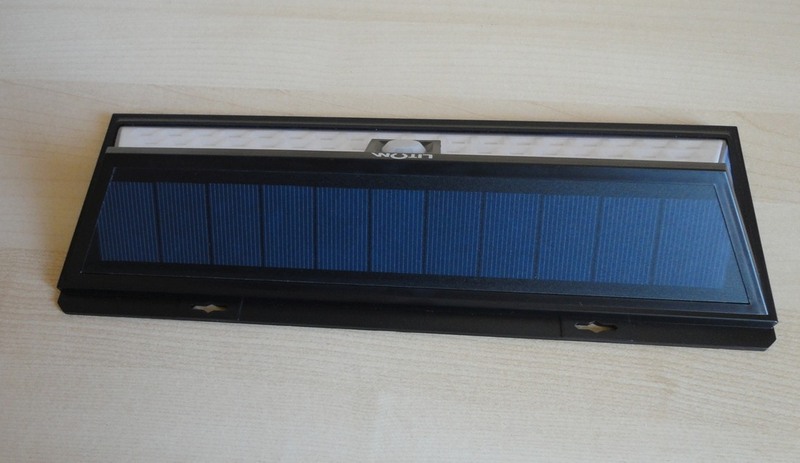 It is currently by far the most powerful solar light we have, and I am delighted with its looks and performance. 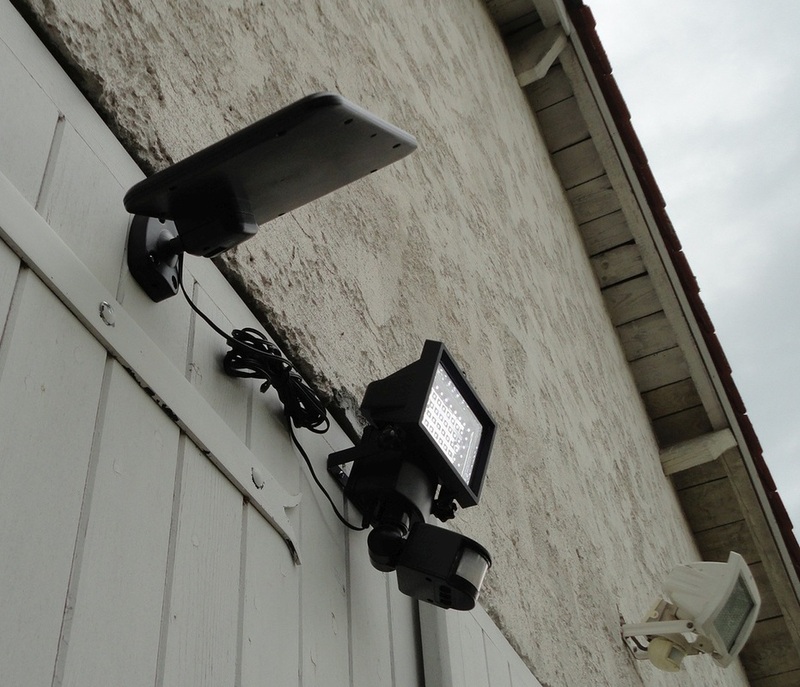 Not too long ago I was mounting a solar-powered security light with a grand total of 6 LEDs. 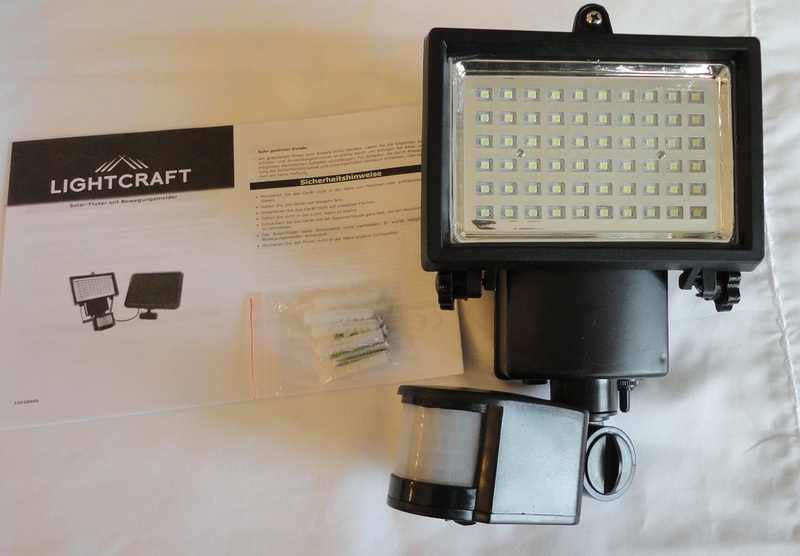 This new model from Lightcraft has a rather more impressive 60 LEDs and is rated 220 lux. The panel face is half the size of my old wired-in floodlight, but the light produced is more intense, a strong white beam that is surprisingly bright in darkness. 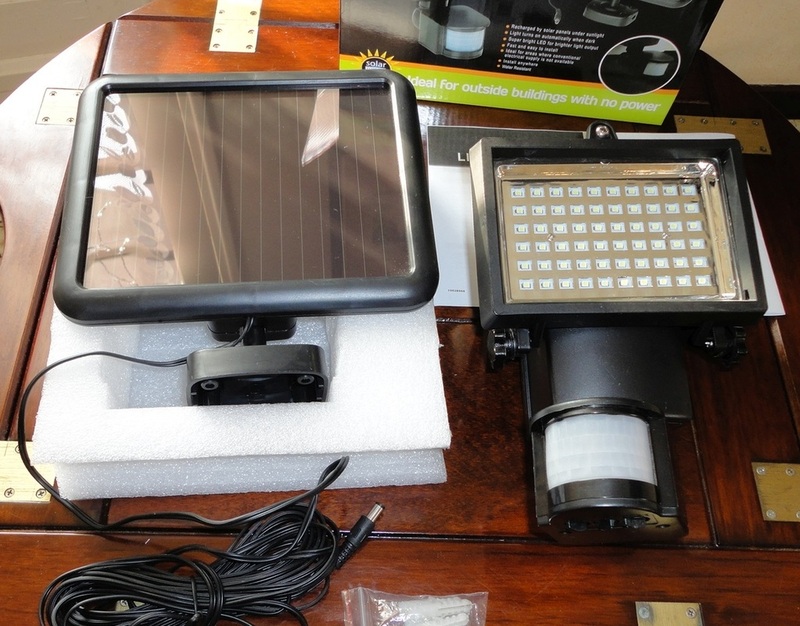 The unit comes in two pieces, the lamp itself with a PIR sensor below and the solar panel to plug into the main lamp unit. Installation was very easy and fast. Six long screws are included with matching wall plugs, but we only used the screws as we mounted the lamp into a wooden backing The solar panel requires four screws, and the other two are for the lamp bracket. The trickiest bit was reattaching the lamp to the metal bracket after installing the bracket on the wall but we managed without dropping anything. 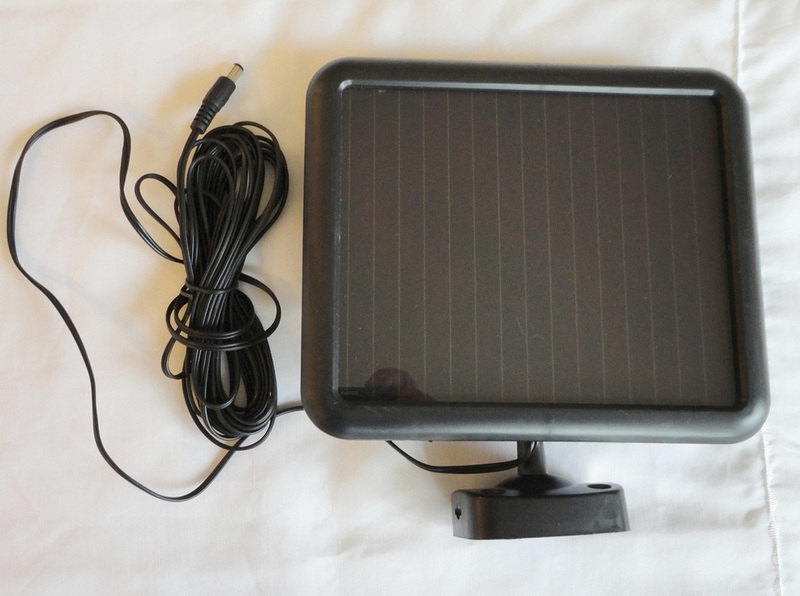 The solar panel is quite large (16 x 13 cm) and can be positioned a fair distance away from the lamp thanks to a long (5 m) cable connecting the two. 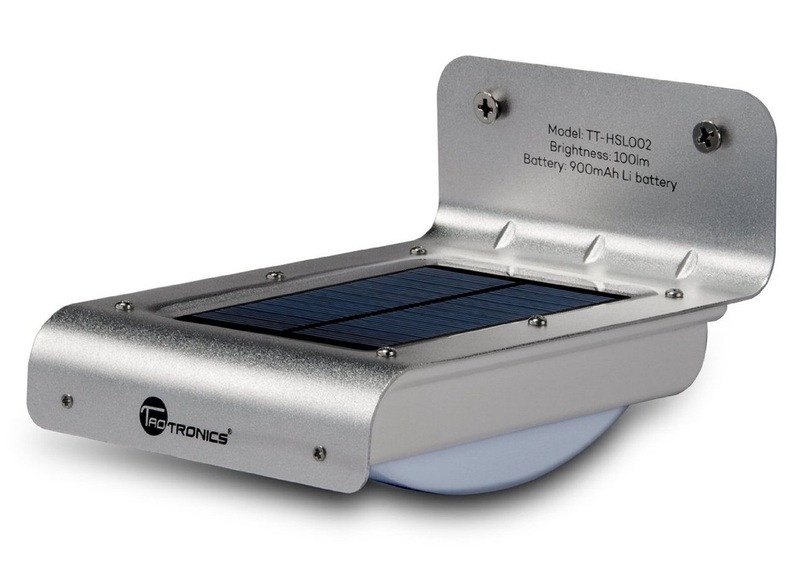 You can even place the solar captor outside in the sun and the lamp indoors or under an awning. The whole unit is made of aluminium alloy, sturdy but lightweight. Being made for outdoor use, it is water resistant (protection class IP64, which means impervious to dust and water splashes from all angles). 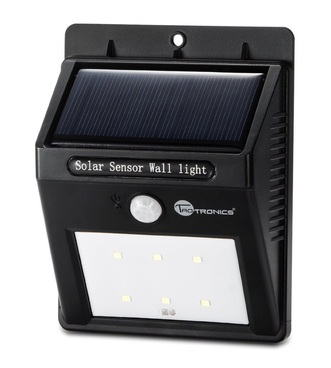 The sensor and solar panel can rotate up to 180 degrees, and the lamp can tilt down so adjustment is easy and flexible. 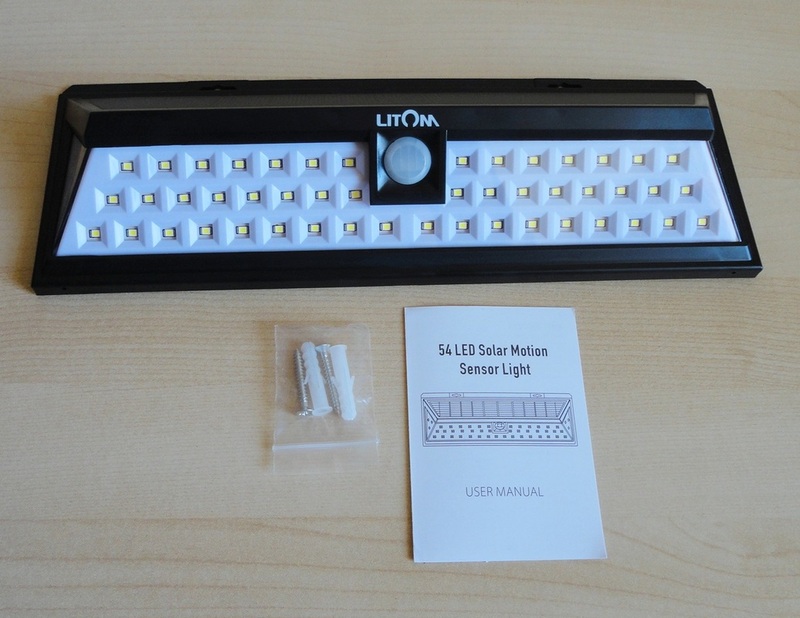 There are three operating settings, controlled by a flick switch: ON (light permanently lit at maximum intensity), OFF (no light ever), AUTO (motion-activated, full-intensity light during low-light periods). All three are controlled by rotary dials located underneath the sensor itself and are easily accessible for adjustment once installed (you may need a ladder, of course). The unit I received was already partially charged and worked instantly, once connected. However, it should be allowed to charge fully for three days with the switch set to OFF. 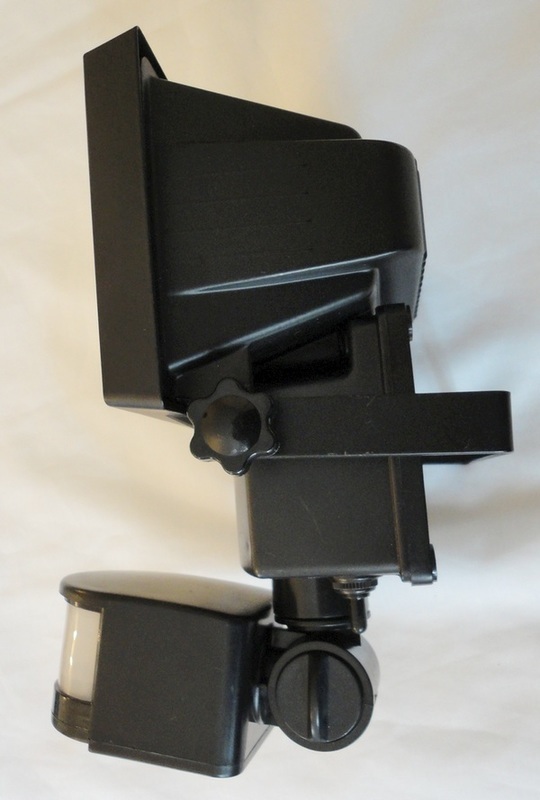 A sturdy and well-constructed security lamp that will be virtually maintenance-free (except for wiping the solar panel clean when needed) and certainly cost-free. An excellent solution for us as our existing wired-in lamp is so old that, apparently, replacement bulbs are difficult to find and perhaps pointless since the contacts look compromised. The hardest part about the installation was deciding on the optimum location for the solar panel, ideally due south and a couple of metres off the ground. 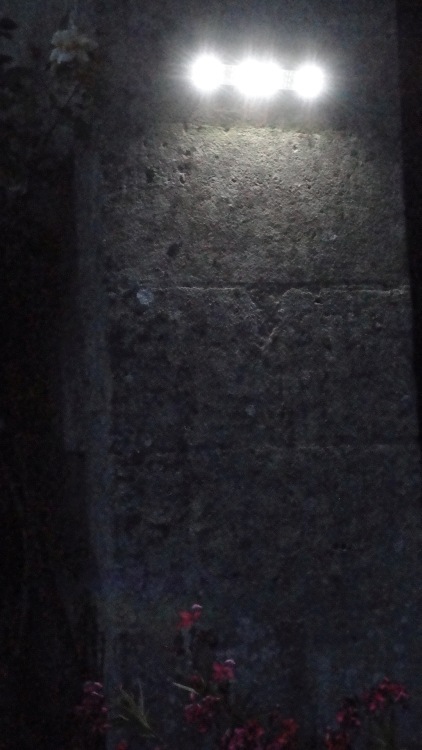 We placed this light on a wall facing south-east and it seems to be a good location. The sensor is very sensitive and reliably turns the light on, detecting movement up to the maximum 5 metres away (our choice). This is a quality outdoor lamp, well made and capable looking. Without the fuss and expense of getting an electrician in, you can still have a fairly bright security lamp with a full range of adjustment options. A classic triangular shape with impressive light output from 28 LED spots. My lamp arrived already partially charged and it has been working at full power ever since. The manual is incorrect in describing how to unlock the fixture. 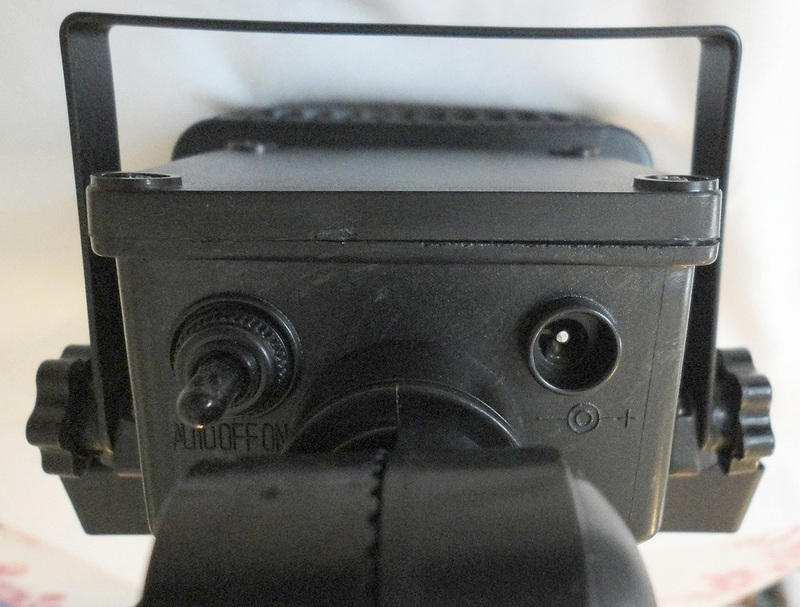 It talks about a pin, when in fact, the lamp is equipped with a very convenient switch inside the battery compartment. As with all solar lamps, placement is all-important. Full south is best, but it will work well in less than ideal locations, provided it receives several hours of sun each day. 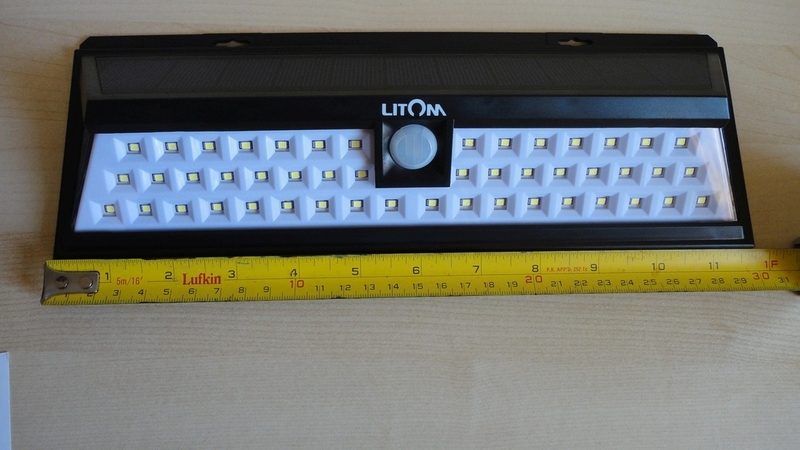 Since I started using these solar-powered LED lamps, the number of LEDs has increased from 4 to this impressive 28 LEDs. The surprisingly large pool of white light is great to illuminate the door of an outbuilding, so we don't have to fumble in the dark, looking for the keyhole. 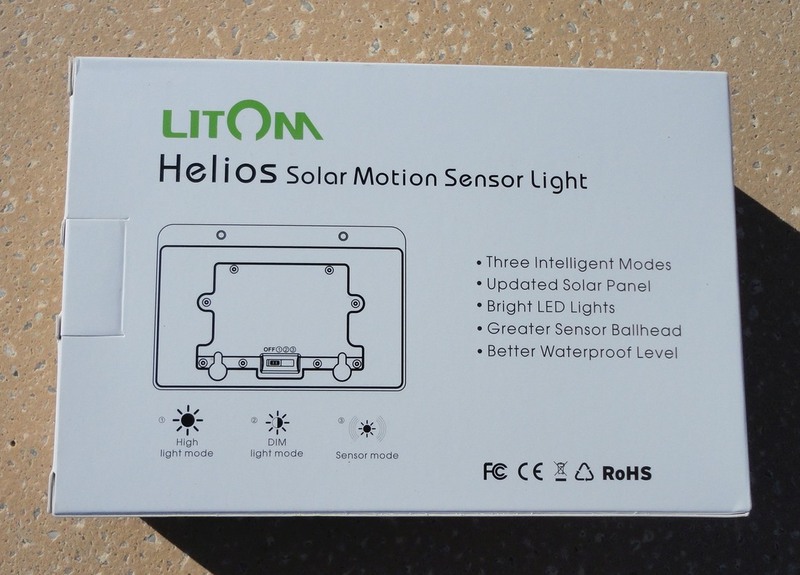 It's very convenient to have some light on all the time and then, when needed, the sensor is very sensitive and reliably turns the light up, detecting movement up to 2-3 metres away. This appears to be a solid, well-made fixture, fully weather-proof, easy to install and only requiring an occasional wipe to keep the solar captor efficient. As I see that there is mention of an upgraded model, I would just suggest to make sure the instructions are correct for the model being sold. TaoTronics have recently introduced some impressive outdoor security lights. This is one of the new models and I received a sample for review and evaluation. 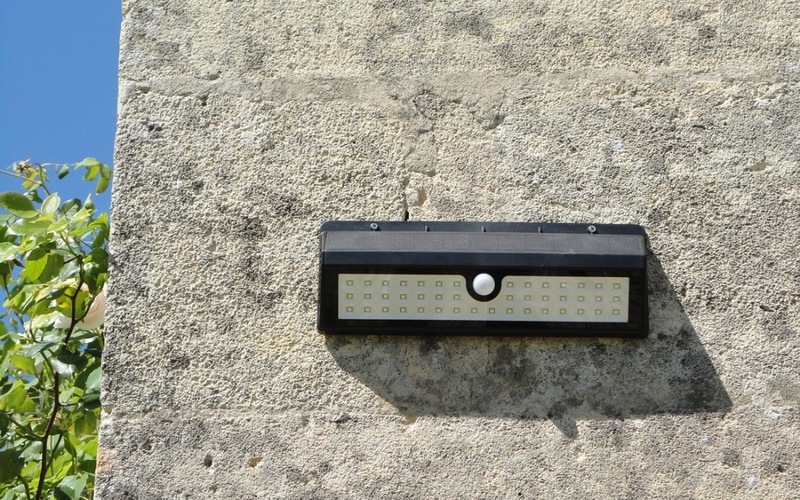 The lamp is lightweight, fully weatherproof, really easy to install, it charges in one sunny day and produces very bright white light for 30 seconds after detecting movement within a 3 metre range. The design is clean and elegant. The solar captor is on the upper surface and the 16 LED units are arranged on the underside so that the light beam is directed pretty much downwards. I like the milky white shield that diffuses the light and makes it easier on the eyes, but no less powerful. 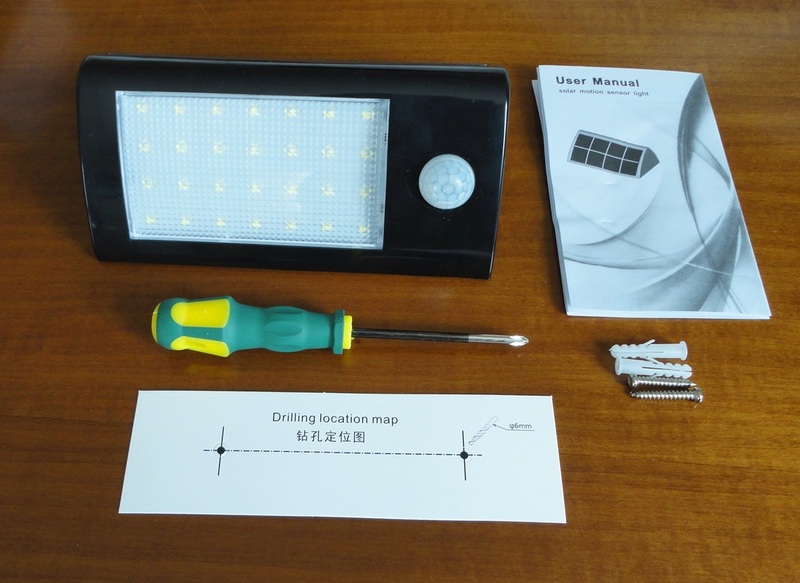 As with similar TaoTronics light fixtures, it comes ready to mount with two screws and wall plugs, a small activating tool (the size of a paper clip), and a very clear manual in four languages. The build quality is excellent, far superior to the last set of solar lamps I bought that failed miserably after only one season. Because it is solar-powered, the most important mounting consideration is where to place it. The maker recommends a spot 2-3 metres in height and in as much direct sunlight as possible for maximum efficiency. On my south-east facing terrace, the charge seems to last really well. The specs talk of 12 continuous hours after a single charge, which is difficult to test, but sounds impressive. My unit charged really quickly during an average sunny winter's day and has retained maximum power over a series of dull and overcast days. 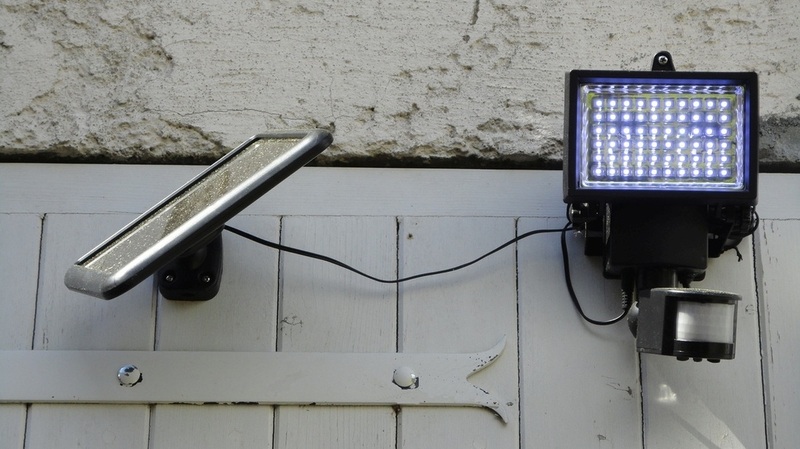 For the price, this is a great deterrent to night-time prowlers, but it is also invaluable to light an area such as the door to an outbuilding to facilitate unlocking in the dark. 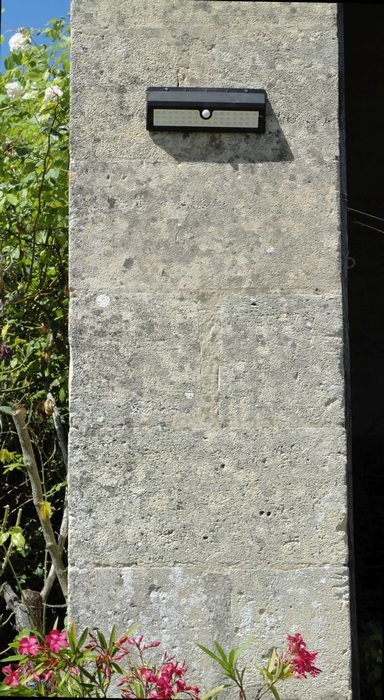 We have a traditional electric outdoor light in a similar position but it is so easy to forget to switch it off that, once used, it often stays on all night. No such problems with this handy design. The convenience of not having to wire the lamp cannot be overstated. It is also easy to move, reposition or take with you, and the solar power is free. Highly recommended. 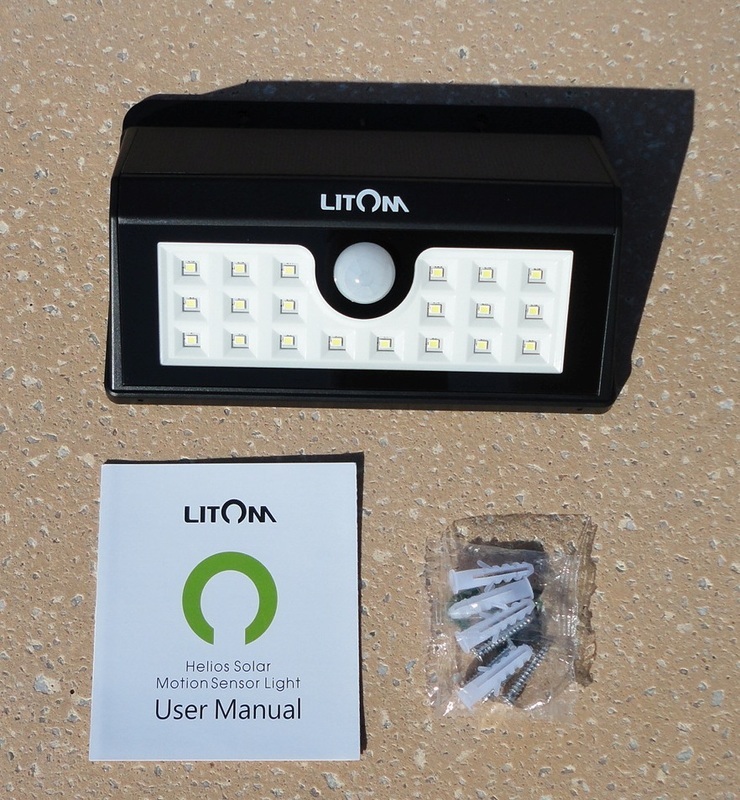 I'm really impressed with this small but powerful outdoor LED light fixture. I received this unit for testing and review in the middle of winter, and I was amazed at how quickly it charged. It only took an average sunny day for the lamp to charge to full operational capability. The lamp is quite small and lightweight, with only a single central hole to mount it. Also in the box are two screws and wall plugs, an activating tool (not unlike a rolled up paper clip) and a very clear manual. The lighting panel, containing 6 LED units, is slightly sloped downwards to provide a surprisingly large pool of white light, which is great because we use it to light the door area to an outbuilding, so we don't have to fumble in the dark looking for the keyhole. The hardest part about the installation is deciding on the optimum location for the lamp, so that the sun captor at the top receives plenty of sunshine in all seasons. 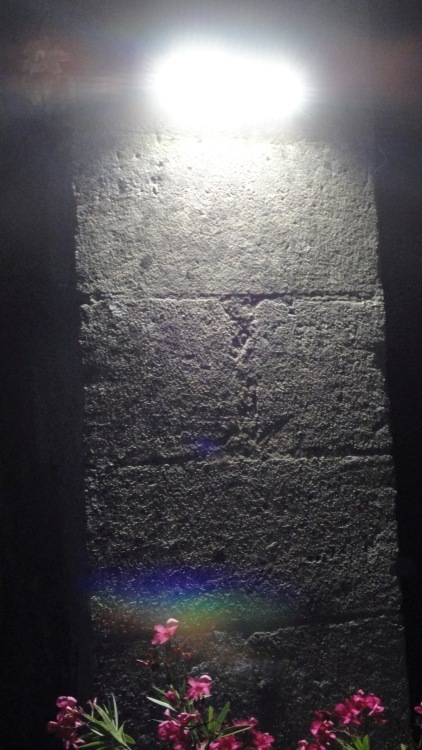 We placed this light on a wall facing south-east and it seems to be a good location. 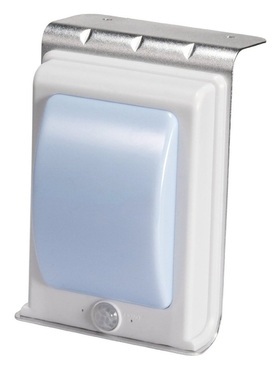 The sensor is very sensitive and reliably turns the light on, detecting movement up to 4 metres away. This is a quality outdoor lamp, well made and fully weatherproof, so it can be placed in unsheltered locations and, once installed, it is self-charging and maintenance-free.